Inspired by projects and quilting conversations found online, she likes to visit the websites www.sotakhandmade.blogspot.com and www.QuiltingDaily.com. Some of the many quilters who have particularly inspired her include Diane Gaudynski in the area of machine quilting, Gloria Loughman of Australia, and Phil Beaver of Indiana. 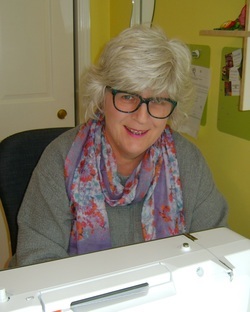 When she looks for help on a project, Catherine may consult with friends from the Professional Art Quilter Alliance, of which she is a member. Or she kicks ideas around with her bee, the Sew and Tells. 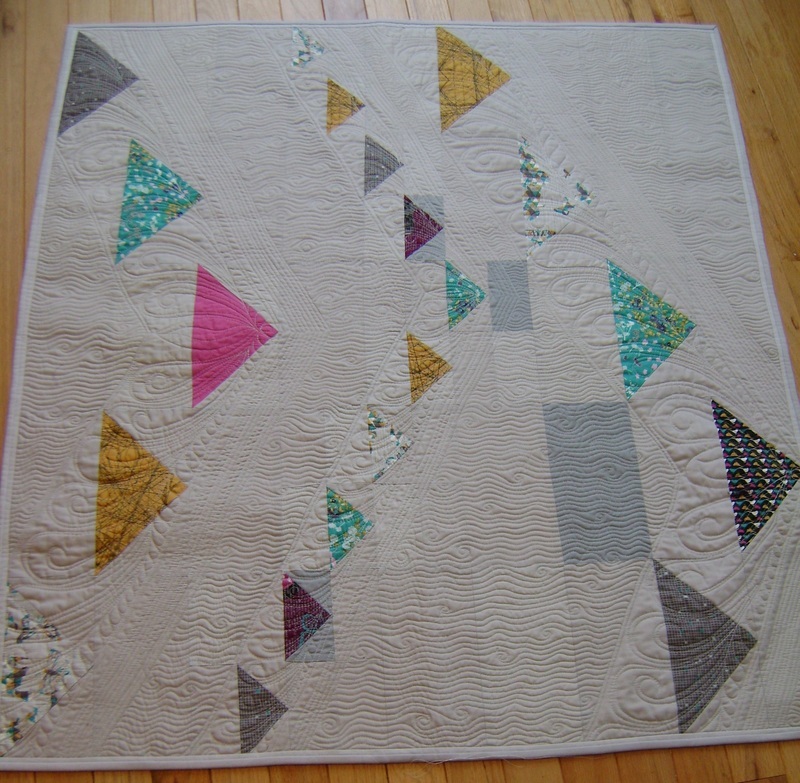 Be sure to watch for issues of Modern Patchwork where Catherine is a frequent contributor. Active in the guild, she has served in many ways – as contracts and programs chair (twice); vice-president (twice); president; and co-chair of the RQG 2007 Quilt Gathering. 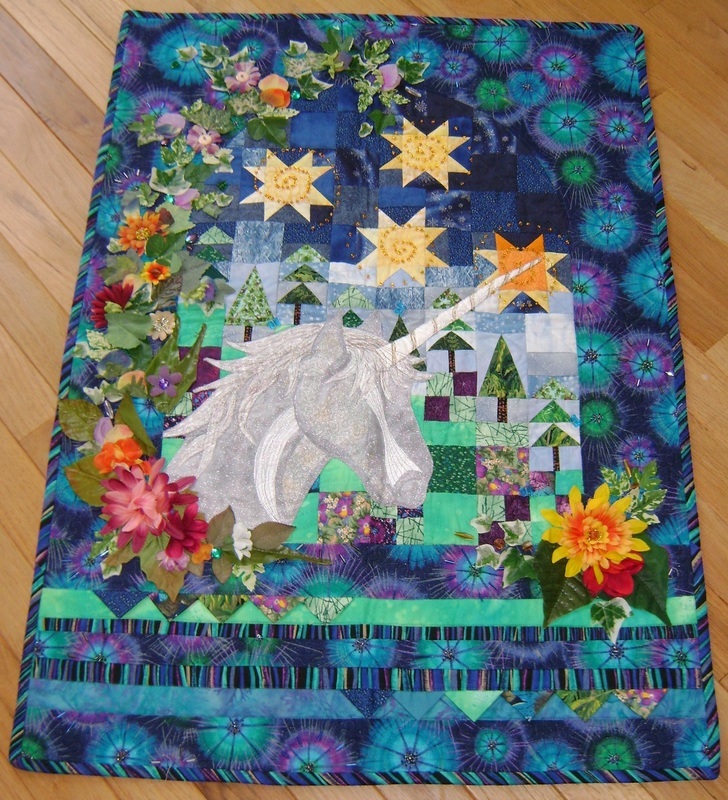 Her quilts shown here include There’s Magic in the Garden, a RQG challenge quilt, which received the “Viewer’s Choice” award at one of the guild’s Gatherings. 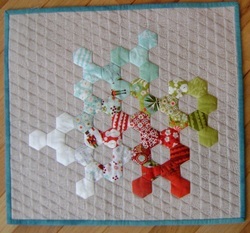 Christmas Hexagons and I’ll Fly Away ( which appears in the Winter 2016 issue of Modern Patchwork) display her love of English paper piecing and machine quilting. ​To learn more about Catherine and see her many projects, as well as her calendar of presentations and classes, check her website www.catherineredford.com. She is also at www.facebook.com/catherineredfordquilter/ and at Instagram@catherineredford.